Memorex mini dvd require disc finalize process to allow playback on other video devices. Format or c1302 error may occur during or after the disk is finalized. 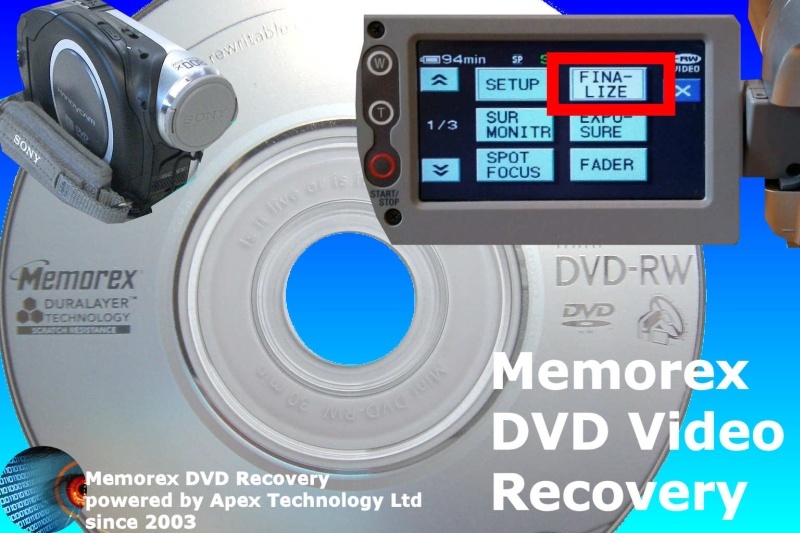 Movie recovery is possible even when the disk shows blank or empty or no video clips are shown on the lcd display screen. If you need a Memorex dvd mini disc finalize for playback after format or c1302 error service, then contact our friendly company. Memorex mini dvd require disc finalize process to allow playback on other video devices. Format or c1302 error may occur during or after the disk is finalized. Movie recovery is possible even when the disk shows blank or empty or no video clips are shown on the lcd display screen..